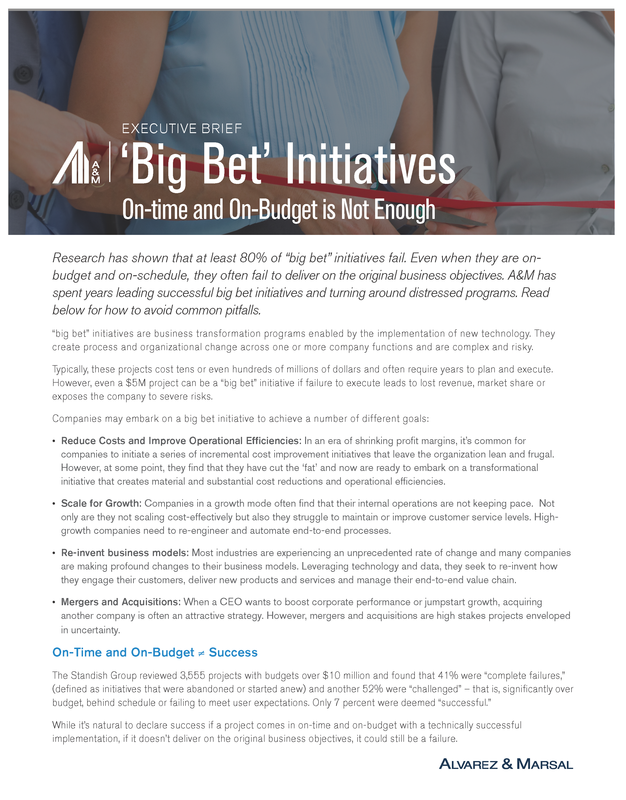 Research has shown that at least 80% of “big bet” initiatives fail. Even when they are on budget and on-schedule, they often fail to deliver on the original business objectives. A&M has spent years leading successful big bet initiatives and turning around distressed programs. Read below for how to avoid common pitfalls.